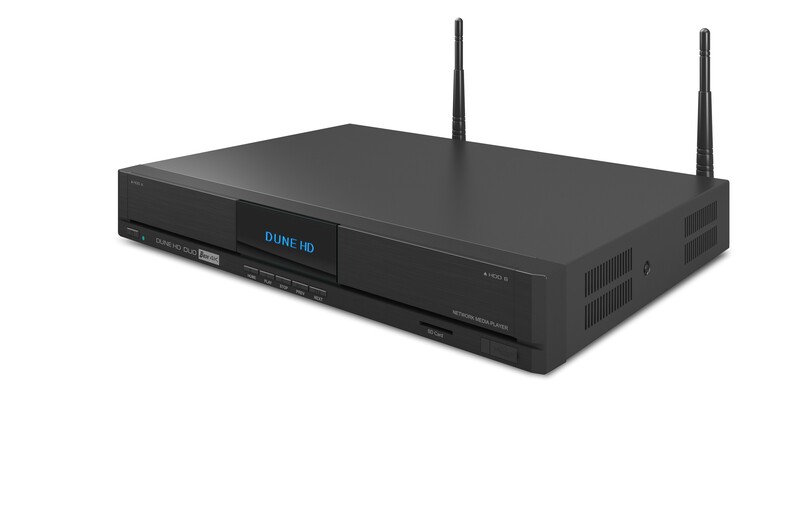 Duo Base 4K is a full-sized 4K network media player, based on the famous SMP8758 Hi-End chip from Sigma Designs, with professional-grade picture quality, advanced media playback features, advanced connectivity and integration options. It is equipped with two hot swap 3.5" SATA HDD racks each supporting up to 10TB+ HDD, three USB ports, SD card slot, 1Gbit Ethernet, 802.11ac Dual Band 2T2R Wi-Fi. This media player sets an entirely new standard for home entertainment. It supports the majority of digital audio and video formats, including the most modern HEVC video codec with one billion colors (10-bit color encoding), all modern 3D video standards such as MVC, Side-by-Side and Top-and-Bottom, audiophile HD audio with high resolution up to 24-bit / 192 KHz and Super Audio CD up to DSD512.